It is divided into five main business areas: A,B,C,D and E sections. There are more than 9000 booths and over 10500 business entities in total. 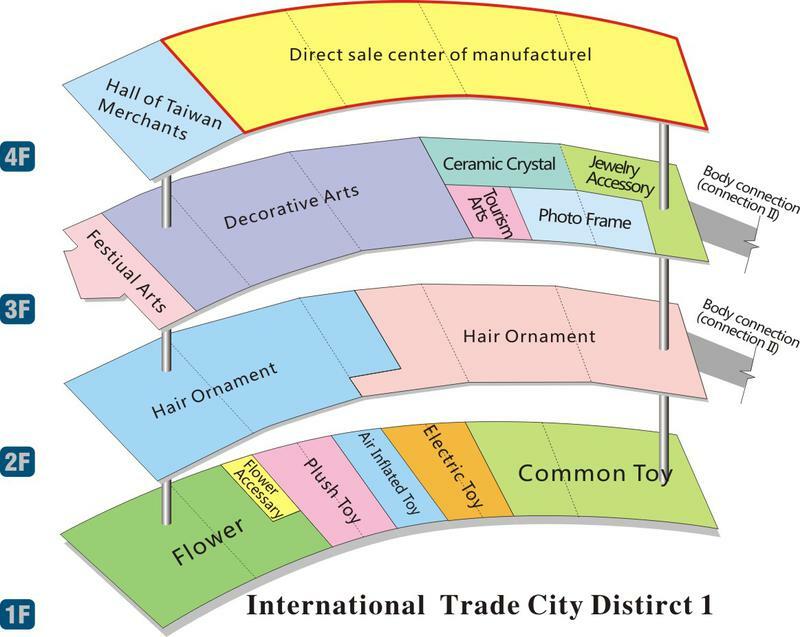 Artificial flowers and toys, the 2nd floor for jewelry, arts & crafts on the 3rd floor, manufacturer outlet center on the 4th floor and sourcing center of foreign trade companies in the east subsidiary building.